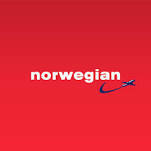 Welcome to our friends Americain by Norwegian ! Welcome to our friends Americain by Norwegian! You come to Boston, Washington or New York the best solutions at the time of arrival at the airport in Martinique is to go by taxi to your place of residence (Trois Ilets - Saint Luce - Sainte Anne, etc). On time or arrrive flights and time or leave it very early in the morning (6:00 AM) to take you back to the US the idea of Airport transfer is the most interesting?